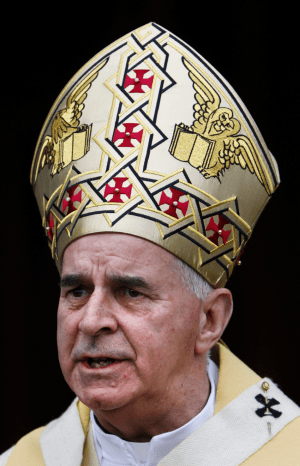 Why isn’t Scotland’s Cardinal Keith O’Brien speaking out against Paedophiles instead of gay couples who wish to marry in a CIVIL partnership that is recognized by a SECULAR society like the UK’s. Paedophiles are the true face of EVIL in this world (along with ALL abusers, rapists and murderers) – NOT two consensual free thinking individuals wishing to officially shack up with each other in the eyes of a far wider society than the aging church he belongs to. Cardinal Keith O'Brien in his Magical Regalia! Until the Roman Catholic Church cleans up its act and gets rid of ALL the paedophiles and abusers (including their sympathizers and protectors) from among their own ranks World Wide they have NO RIGHT to lecture other (law-abiding) people about what’s Sinful and what is not… let a lone about what should be legal and what should not! Almost everyone is a Whore to some extent – anyone who isn’t is probably a Pimp! Almost everyone is a Whore to some extent – anyone who isn’t is probably a Pimp – and they’re just the Scum of the Earth, right next to Rapists, Paedophiles and Murderers. As far as I’m concerned prostitution should be legalized and regulated – prostitution is a fact of life, it always has gone on and it always will go on – we need to just accept that and make it SAFE for everyone concerned. Prostitution should be legalised and regulated! Most of us have had to do something unpalatable, or something we’d rather not do, just to make ends meet and make a living for ourselves. Work is work – you HAVE to do whatever it is you have to do so that you and yours can SURVIVE in a cold hard world. Making money off your own work is how the World works… whether you call it prostitution or not. It’s the people who make money off the back of other people’s work (i.e. Pimps) who deserve nothing but contempt… like I said – Scum of the Earth!